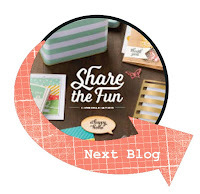 Welcome to this week's CASE-ing the Catty Blog Hop! 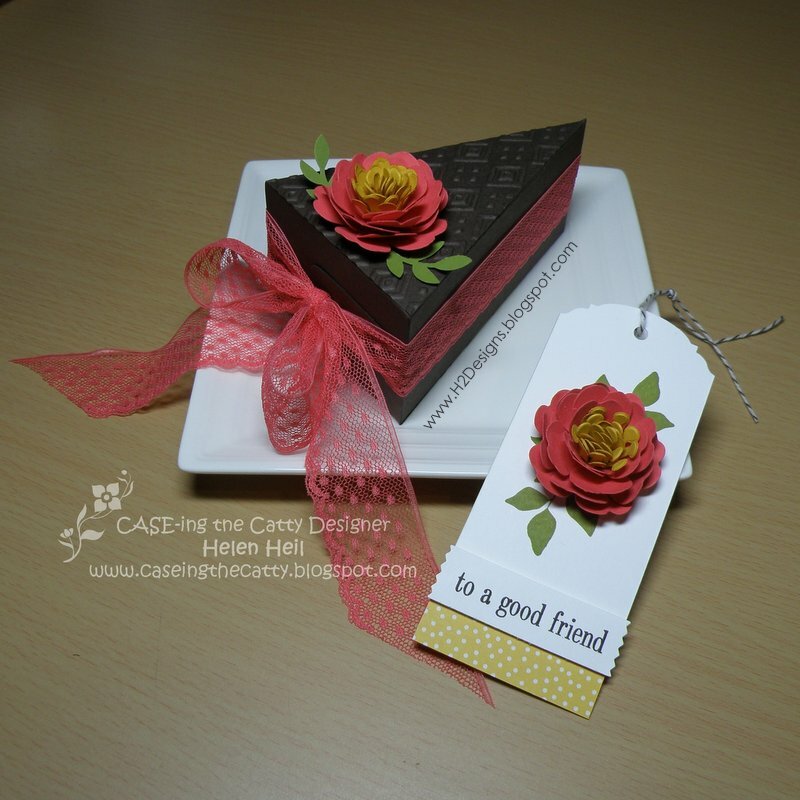 We are featuring projects inspired by the Hostess section of the Stampin' Up! annual catalogue (pages 178-181). You may have come straight from Stasia's cute Halloween project, or started here, but you can work your way around the entire Hop & see the Crew's wonderful projects by following the links in each post. If you get lost along the way, you can find a complete list of participants on the CTC post. I was inspired by the tag on page 181. I like the fact that the image is composed of stamped & raised elements. I was also inspired by the Sweet Stack Cake Kit that is shown on page 178. I made a slice of chocolate cake with a watermelon bow & added a flower similar to the one on the top layer of the cake. I also added a couple of leaves to tie in with the stamped image on my tag.